Today is our 8th anniversary! 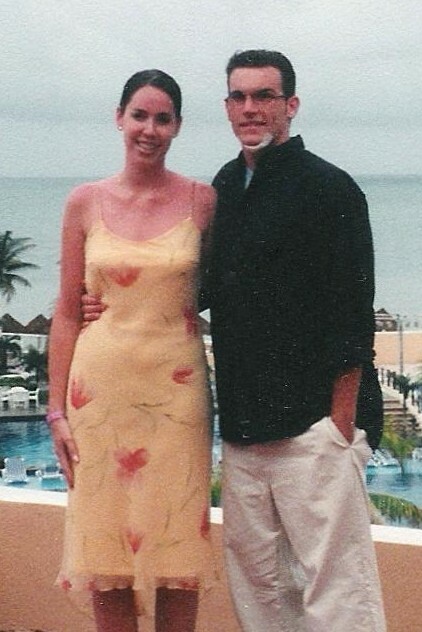 It’s always fun to remember back on the day we were married and bring out the old wedding album…but I thought I would share some honeymoon pictures this time! What?!? Your honeymoon pictures don’t look like those? You mean your new husband didn’t try to do ‘tricks’ on a water slide in Cancun, Mexico and crack open his chin? Well, I must have been a lucky wifey on my honeymoon! 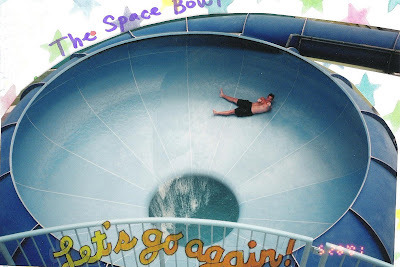 Here is the ‘Space Bowl’ with James in it right before he tried to do his trick and “hang” in the bowl! Haha! Sharing my life with James is always full of humor and adventure and I wouldn’t have it any other way! We actually already celebrated our anniversary Monday, (when you get free babysitting, you celebrate), with a round of golf (we take turns planning our anniversary and it was my turn to plan for him). I actually bought golf shoes this time so I guess I’m stuck with a new quasi hobby! I did, after all, beat James on one hole! 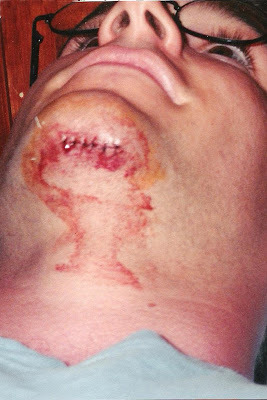 Doctor Dad will never forget the “chin incident” – after all, he took out James’ stitches when y’all got back from Cancun.